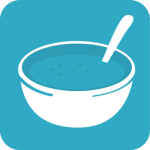 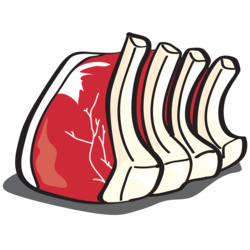 Our mobile app contains detailed butcher's breakdowns for Beef, Chicken, Pork and Lamb. 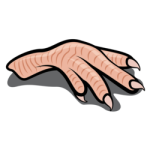 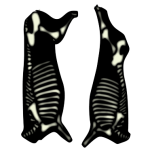 In total the app contains over 200 meat cuts. 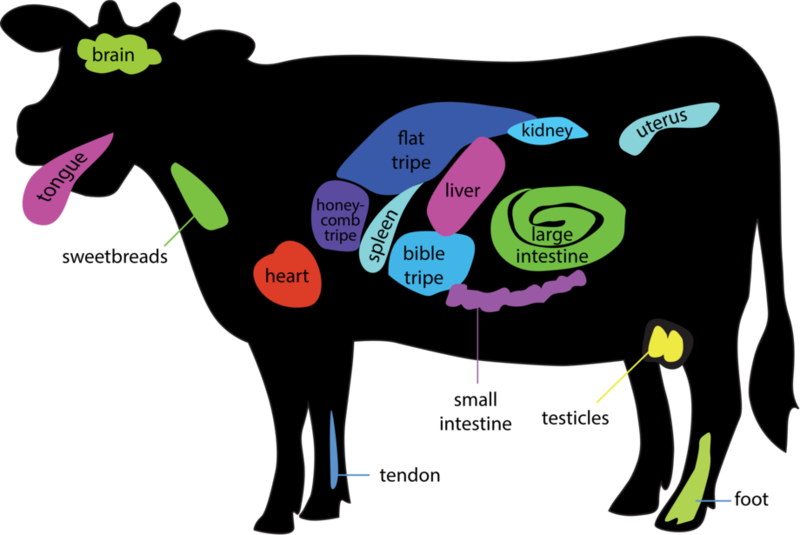 It most cases the primal cuts are shown which reveal many of the derived cuts. 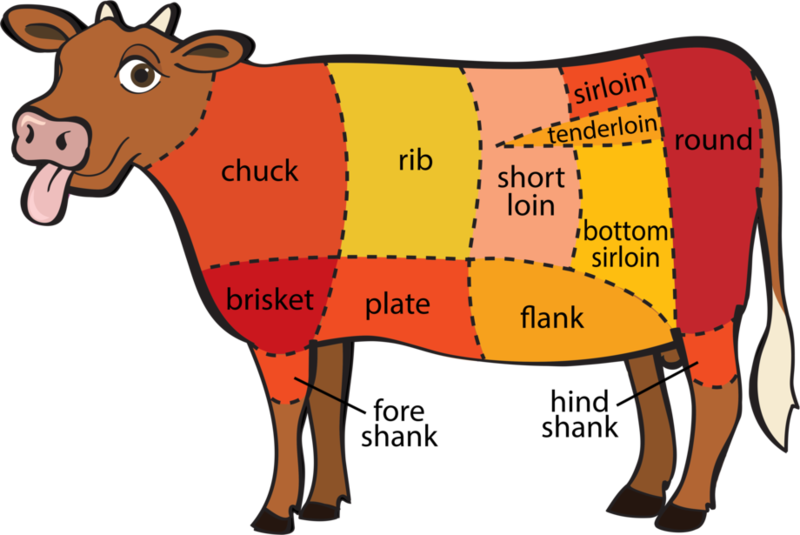 For most cuts you find at your local butcher the animal is first divided into a series of primal cuts. 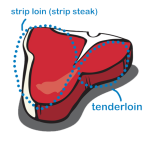 The primal cuts form the basis from which the 'steaks' and other subdivisions are cut. 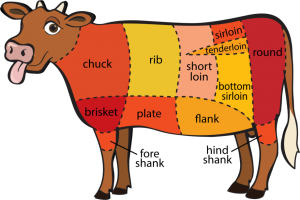 The term ‘primal cut‘ is not to be confused with ‘prime cut’ which is used to characterise meat of a higher quality. 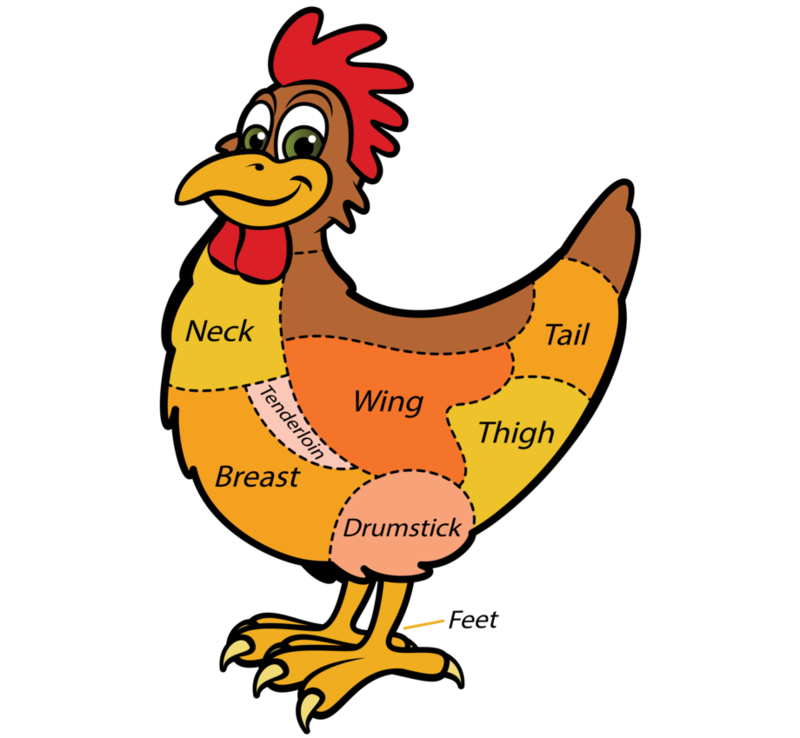 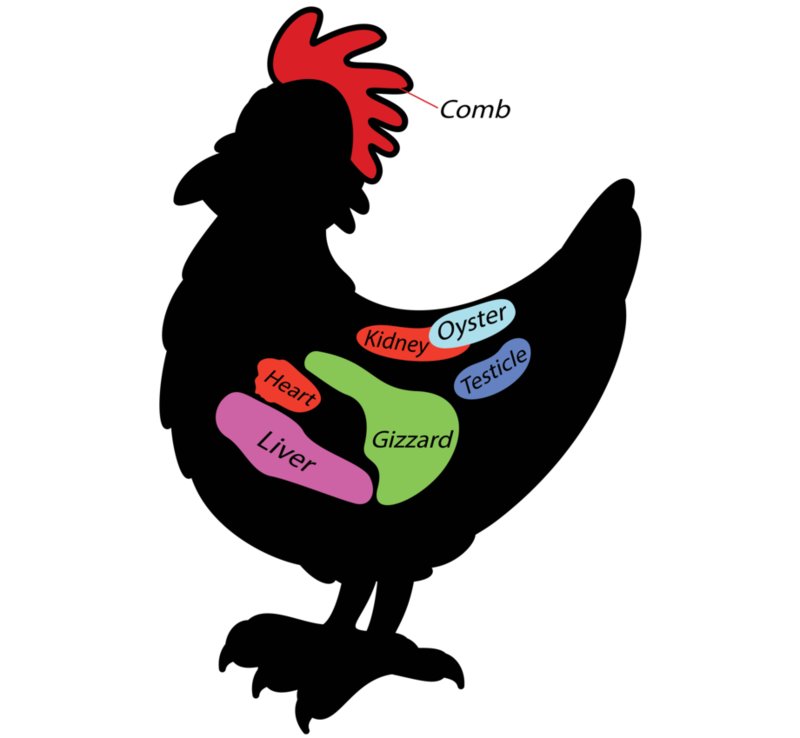 The following cut diagram show’s a common pattern of primal cuts in the USA, other countries may divide the animal differently as culture and tradition dictate. 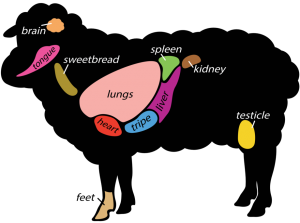 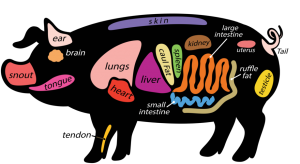 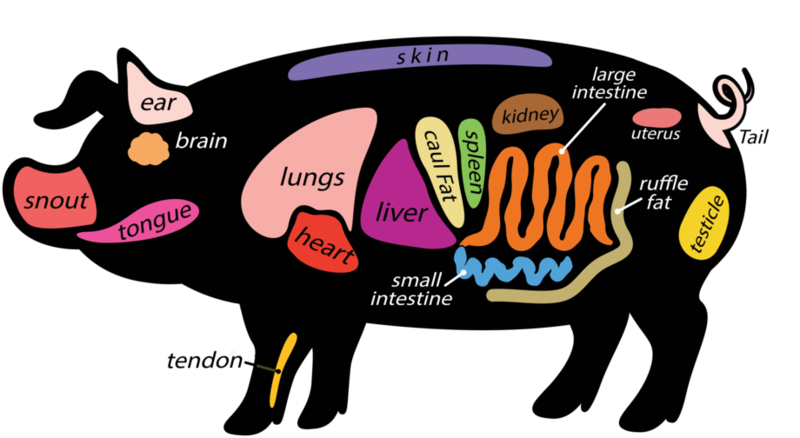 In addition to the major muscle cuts there are many offal cuts that can be sourced from the animal as well. The most common type of poultry, chicken is universally eaten across all cultures. Its prevalence is attributed to the fact that almost the entire animal is editable. 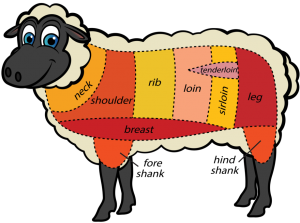 Lamb, hogget and mutton are terms for the meat from the domestic sheep at different ages. Lamb cuts are derived from 10 major primal from which the lesser cuts are sourced. 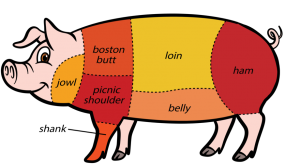 Pork is the most commonly consumed meat worldwide and commonly prepared freshly cooked and preserved (smoked hams, bacon & sausage). Pork is well known for being able to be used from nose-to-tail.